Just Peyton being Peyton I guess. I would like to call him a nerd but you have to respect the hustle on this. Helmet and everything?! This guy can’t stop, won’t stop. 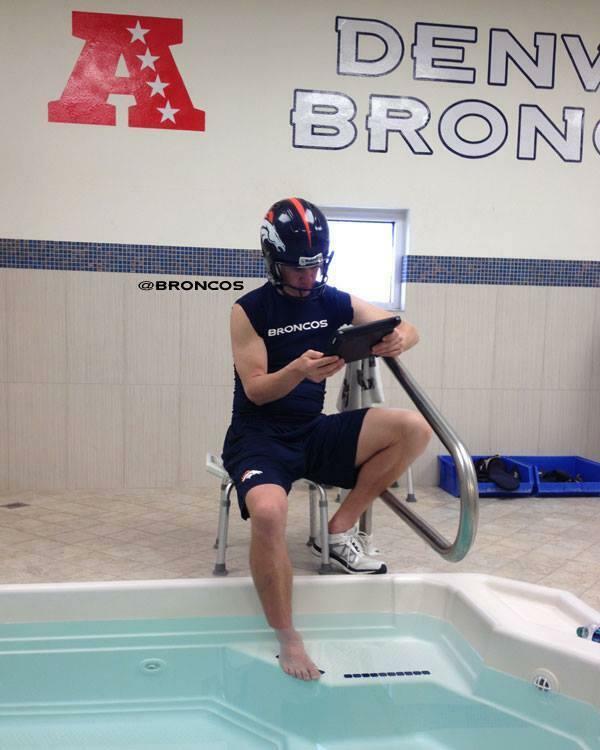 Posted on December 12, 2013, in Average Blog Posts and tagged ankle, fantasy football, foot, helmet, peyton, peyton manning, pool. Bookmark the permalink. Leave a comment.